& from France / Française including Palaiseau. One of the hardest to find records in the Lansdowne series & also one of the best, this was the accomplished debut by Britain's finest jazz group of the sixties, the Don Rendell-Ian Carr Quintet. Not nearly celebrated enough, Rendell & Carr were Britain's answer to Miles & Coltrane. With beautiful, introspective modal numbers & a fine backing group consisting of Colin Purbrook (piano), Dave Green (bass) & Trevor Tomkin (drums), this is a firm winner through & through & comes highly recommended. This is a one previous owner copy, stored away handsomely since the day of release. The sleeve is front laminated, which remains tight & crisp, & the flipbacks are secure with no lifting or scuffing. All print remains perfectly legible, including along the spine. There is a little discolouring to the back panel but this is forgiveable with age. A lovely example & one that easily meets the 'excellent' grade. The vinyl has been professionally cleaned. The labels reveal only the very lightest signs of spindle wear to indicate play. There are no scratches or hairlines, just the finest spot of cosmetic wear when held to the light, not affecting play. Playback is superb - this record has obviously been handled carefully in its day. Just like the sleeve, the vinyl too easily meets the 'excellent' grade. Very, very rare, indeed - we're unlikely to find this one again in such superb shape! 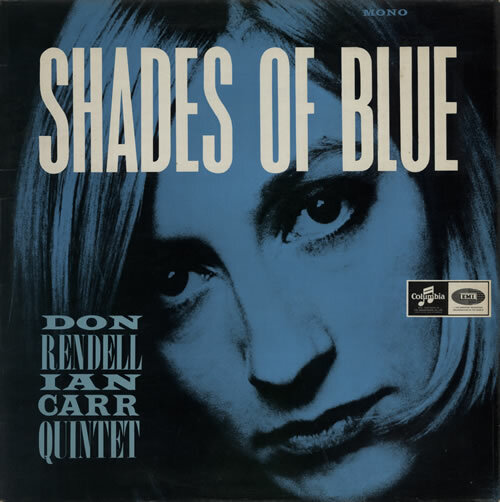 Product Information Don Rendell & Ian Carr Shades Of Blue UK vinyl LP album (LP record).